To learn and to teach something about alternative forms of work and organization is one of the urgent tasks of critical management and organization studies. However, one of the most striking problems in teaching alternatives is the lack of imagination, that is the idea that these are real and possible alternatives. As Gibson-Graham (2006: XV) write about their own experiences: „In the face of a new discourse of the diverse economy, participants in our projects can easily recognize the activities and enterprises it names, but they cannot readily identify with the alternative subject positions it avails. Most of them get up in the morning wanting a job – and if not wanting one, feeling they need one – rather than an alternative economy”. One idea to cope with this problem seems to reframe it or to tackle it in a roundabout way. Luc Audebrand and colleagues introduce cooperatives into the classroom via the topic and reflection of paradoxes in organizations. They argue that “despite the absence of the cooperative business model in mainstream management textbooks and curricula, this model can offer a high pedagogical value for management education in that it can foster paradoxical thinking” (Audebrand et al. 2017: 216). Said this, we can think about several other topics which makes it possible to introduce alternatives. Just think about power, participation, democracy or sustainability and maybe then alternatives are just around the corner or at least are worth to talk about it in the classroom. Gibson-Graham, J. K. 2006. The end of capitalism (as we knew it). A feminist critique of political economy. Minneapolis: University of Minnesota Press. Dieser Beitrag wurde am 19. Juni 2018 von Ronald Hartz in Kritische Ressourcen & Studien veröffentlicht. Schlagworte: Alternativen, Critical Management Studies, Democracy, Kooperativen, Kritik, Macht, Universität, Wissenschaft. New Article about Cooperatives – Audebrand (2017): Expanding the scope of paradox scholarship on social enterprise: the case for (re)introducing worker cooperatives. In: M@n@gement 2017/4. Audebrand, L. (2017). Expanding the scope of paradox scholarship on social enterprise: the case for (re)introducing worker cooperatives. M@n@gement, vol. 20,(4), 368-393. doi:10.3917/mana.204.0368. enterprises. This article addresses two gaps in this burgeoning literature. research on alternatives to the dominant economic paradigm. Dieser Beitrag wurde am 25. Januar 2018 von Ronald Hartz in Kritische Ressourcen & Studien veröffentlicht. Schlagworte: Alternativen, Arbeitsverhältnisse, Democracy, Kooperativen, Ökonomie, Organisation. Recent studies have shown that alternative organizations are particularly exposed to the risk of losing ‘their soul’ or their capacity to put into practice their original ends when they compete with capitalist companies. But what happens when an alternative organization competes exclusively with another alternative organization? This article addresses this question using a unique and ‘revealing’ case, in which two mutual insurance organizations compete structurally and directly with each other and propose the same products to the same target population, at the same time and same place. The case shows in concrete terms how competition can undermine the integrity of alternative organizations and expose them to a dissociation between ends and means by leading them to: (1) adopt ‘dirty’ practices that are incoherent with their founding purpose, (2) circumvent the coherent practices that have been specifically designed to reach their alternative ends, and (3) instrumentalize their alternative ends and turn them into means of coping with competition. Furthermore, the case shows how the dynamic of structural and direct competition, because of its ‘captivating’ nature, may prevent local actors from ‘denaturalizing’ or questioning these incoherent practices. 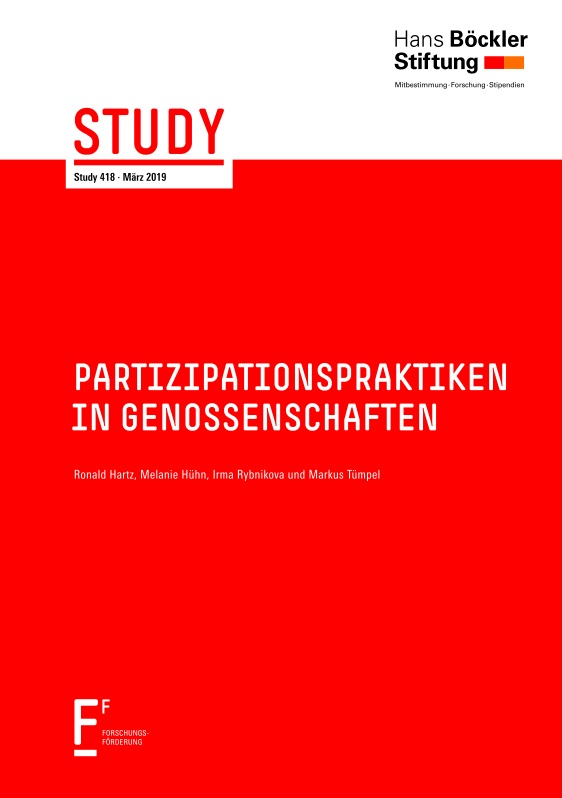 This study suggests that any action aimed at promoting alternative organizations requires taking due account of the competitive environment in which local actors of alternatives are placed and which can seriously undermine their emancipatory potential. This article explores the political differences between academic activism and the recently emerged research impact agenda. While both claim that academic work can and should engage with and influence the world beyond the academic ‘ivory tower’, their political meaning and practice are radically different. Following the distinction made by Jacques Rancière, we argue that research impact performs a policing function which, despite its own rhetoric, is arranged as an attempt to ensure that academic work maintains a neoliberal status quo by actually having no real political impact. Academic activism, in contrast, serves to politicize scholarly work by democratically disrupting political consensus in the name of equality. Being an academic activist in an era of research impact rests in a twofold movement: that of both acting in the name of equality in an effort (using Marx’s terms) to ‘change the world’ and resisting and contesting an academic administration whose police actions have attempted to eliminate such forms of democratic practice from the political consensus. The argument is illustrated with examples from the Australia Research Council’s statements on research impact and the practice of climate change activism. Dieser Beitrag wurde am 20. Dezember 2017 von Ronald Hartz in Kritische Ressourcen & Studien veröffentlicht. Schlagworte: Alternativen, Arbeitsverhältnisse, Kritik, Neoliberalismus, Organisation, Universität, Wissenschaft. Eine kleine Eigenwerbung: Mein Artikel „Von anderen Organisationen – Ein Essay über Perspektiven kritischer Organisationsforschung“ ist nun in der Managementforschung 27(1) erschienen. Dieser Beitrag wurde am 25. September 2017 von Ronald Hartz in Kritische Ressourcen & Studien veröffentlicht. Schlagworte: Alternativen, Critical Management Studies, Heterotopie, In eigener Sache, Krise, Kritik, Ökonomie, Organisation, Poststrukturalismus.